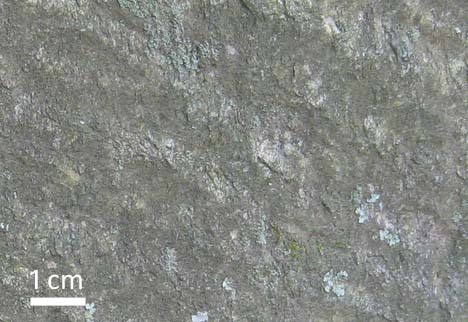 …They are crenulation lineations, essentially very small folds that deform the cleavage of these highly-foliated rocks. 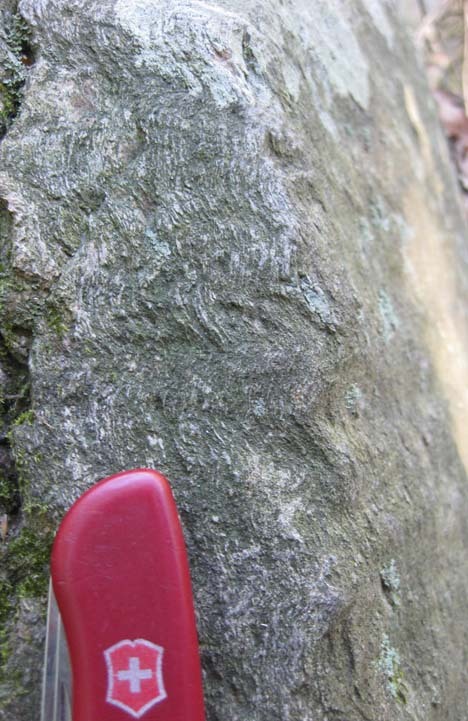 The crenulations’ fold axes were popping out in very slight 3D relief on the face of the boulder that initially caught my eye, like tectonic “ripple marks.” On the right side of Photo 3, you can see the lineations (fold axes) stretching away into the blurry distance. 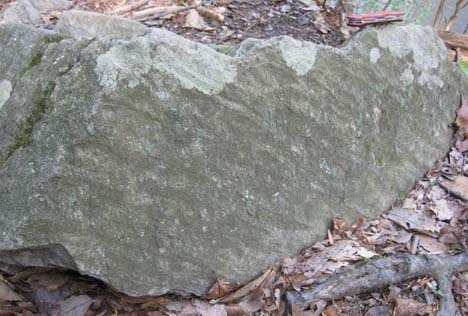 In addition, some of the convex-outward crenulations had been breached, which means that the trace of the foliation was outcropping along the same trend as the fold axis. This is a variety of intersection lineation: two planar elements intersecting in a line. 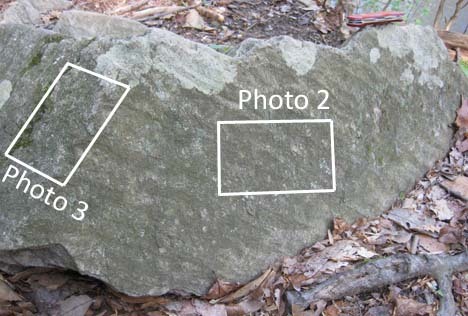 In this case the planar elements are [a] the foliation and [b] the outcrop surface. Recall that we saw something similar in the snow back in February. …and, I suppose, for your benefit as well, dear blog reader.